My research focuses on the exchange of know-how and the evolution of architectural techniques in the Near East and Southern Caucasus during the Neolithic and Chalcolithic periods. I am currently doing postdoctoral research at The University Museum, The University of Tokyo, with financial support from the Japan Society for the Promotion of Science (JSPS). This postdoctoral work aims to clarify our knowledge of the implementation techniques used during Proto-Hassuna and Ubaid at several sites in Syria (Tell Kashkashok, Tell Seker al-Aheimar, Tell Kosah Shamali) and Iraq (Telul eth-Thalathat) from the archives held at The University Museum. 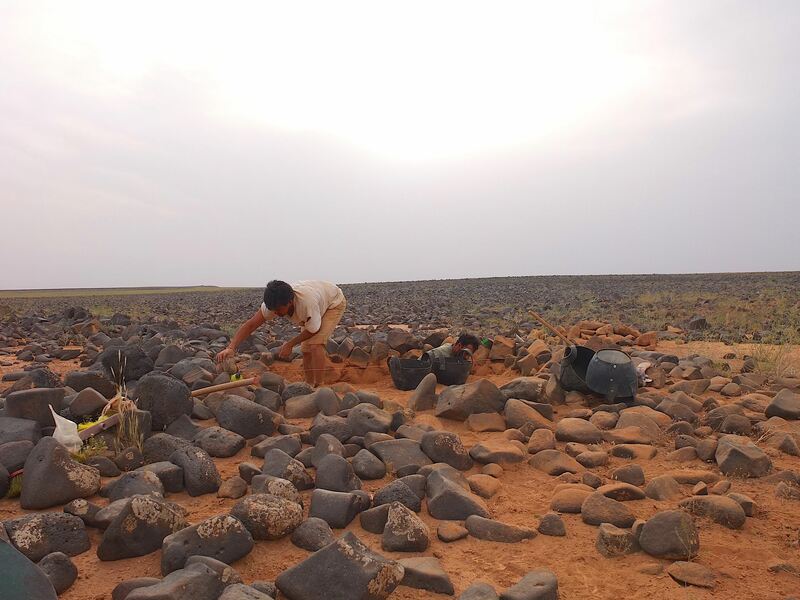 The second part of this postdoctoral research focuses on the regional development of the Shulaveri-Shomu culture in the Middle Kura Valley from data recently collected by the French (Mentesh Tepe, Gadachrili Gora, Kiçik Tepe) and Japanese (Göy Tepe, Haci Elamxanli) teams in Azerbaijan and Georgia. Baudouin E., Lyonnet B., Hamon C. (forthcoming) “Architectural Techniques and Cultural Relationships between the Caucasus and Mesopotamia at the beginning of the sixth Millenium B.C.”, Routes de l’Orient. Baudouin, E. (forthcoming) “L’architecture en Syro-Mésopotamie et dans le Caucase de la fin du 7e et la fin du 5e millénaire av. J.-C.”, e-Phaïstos. Baudouin, E. (2018) “L’architecture en Syro-Mésopotamie et dans le Caucase de la fin du VIIe et la fin du Ve millénaire av. J.-C.”, Bulletin de la Société Préhistorique Française,115/2, p. 405-407. Baudouin, E. (2017) “Rapport préliminaire sur les techniques architecturales à Mentesh Tepe (Azerbaïdjan)”, in Helwing, B., Aliyev, T., Lyonnet, B., Guliyev, F., Hansen, S., Mirtskhulava, M. (eds. ), The Kura Projects: New Research on the Late Prehistory of the Southern Caucasus, p. 153-162. Berlin, Deutsches Archäologisches Institut, Eurasien-Abteilung, Archäologie in Iran und Turan (AIT), 16. Hamon, C., Jalabadze, M., Agapishvili, T., Baudouin, E., Koridze, I., Messager, E. (2016) “Gadachrili Gora: a new Neolithic Excavation within the Shulaveri Group (Chramis Valley, Georgia)”, Quaternary International, n° 395, p. 154-169. Lyonnet, B. and Guliyev, F. (dir. ), with the collaboration of Baudouin, E., Bouquet, L., Bruley-Chabot, G., Samzun, A., Fontugne, M., Degorre E., Husson X., Raymond, P. (2017) “Mentesh Tepe (Azerbaijan), a preliminary report on the 2012-2014 excavations: architecture and revised periodization”, in Helwing, B., Aliyev, T., Lyonnet, B., Guliyev, F., Hansen, S., Mirtskhulava, M. (eds. ), The Kura Projects: New Research on the Late Prehistory of the Southern Caucasus, p. 125-141. 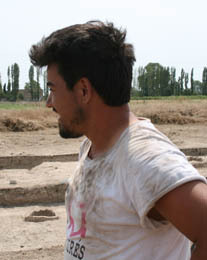 Berlin, Deutsches Archäologisches Institut, Eurasien-Abteilung, Archäologie in Iran und Turan (AIT), 16. Lyonnet, B., Guliyev, F., Bouquet, L., Bruley-Chabot, G., Samzun, A., Pecqueur, L., Jovenet, E., Baudouin, E., Fontugne, M., Raymond, P., Degorre, E., Astruc, L., Guilbeau, D., Le Dosseur, G., Benecke, N., Hamon, C., Poulmarc’h, M., Courcier, A. (2016) “Mentesh Tepe, an early settlement of the Shomu-Shulaveri Culture in Azerbaidjan”, Quaternary International, n° 395, p. 170-183. Quliyev, F. and Lyonnet, B. (dir.) avec Pecqueur, L., Poulmarc’h, K., Hamon, C., Bouquet, L., Bruley-Chabot, G., Raymond, P., Samzun, A., Baudouin, E., Decaix A. and Salimbeyov, S., Alekberov, V., Ibrahimov, N., Muradova, E., Aliyeva, A., Mirqadirov, M., Axunzadeh, T. (2013) “Menteştepe qedim yaşayiş yerinde arxeoloji tedqiqatlar (Tovuz rayonu)”, in Collectif, Azerbaycanda Arxeoloji Tedqiqatlar 2012, Arxeologiya ve Etnoqrafiya Institutu, Baku, p. 329-334. Copyright © 2014 Yoshihiro Nishiaki. All Rights Reserved.